What Makes The Perfect Work Bag? Forget 9-5, we’re living in a 24 hour lifestyle. For many I know, the working day starts when their feet hit the floor in the morning up to when the last meeting / bedtime story / project draft is finished in the evening. When you’re on-the-go from early to late you need a bag that can keep up. This usually means prioritising functionality over fashion. I’ve had my fair share of functional workbags that have served me well, but wouldn’t have won a style award by any stretch of the imagination. I was never excited to wear them; I would just choose the biggest size in the most neutral colour and stuff it to the brim (sound familiar?). Style is important though – no-one wants to look (or feel) like they’re carrying around everything but the kitchen sink for the day… even though most of us are! ‘It’ bags are beautiful and so much fun to wear, but who can afford to buy a new bag each season? 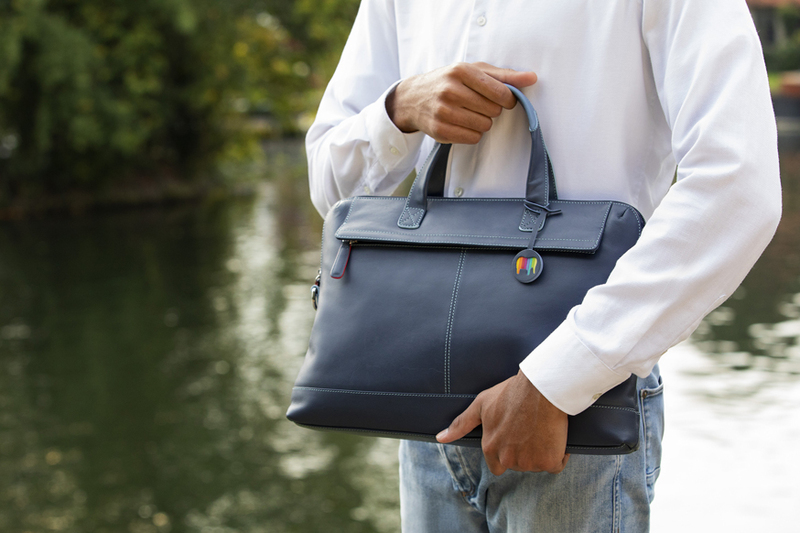 The best work bags are those that fit into your daily life and just go with your rhythm. So what makes a perfect work bag? SIZE: It matters. You want a bag that’s big enough to carry your essentials but not so big that on those days when you’re carrying a normal amount of stuff (as opposed to the aforementioned kitchen sink) it doesn’t look absurdly oversized. Our Business Briefcase is the ideal candidate. This leather workbag can carry all your essentials without bulking out, while on lighter days it keeps its streamlined shape thanks to the structured design. COMFORT: If you’re a daily commuter, this is going to be high up on your list. Standing room on a crowded train is awkward at the best of times, without adding an overloaded bag strap digging into your shoulder! Why not try something a little slimmer, like this Slim Leather Backpack. I promise you it is the answer to your shoulder’s prayers! Its wide straps are comfortable to wear, and a sturdy grab handle ensures a solid grip if necessary – always handy for those ultra-crowded carriages. ORGANISATION: This is possibly the top requirement for a good workbag. I personally love to organise my essentials, and bags with separate compartments get my fingers tingling! That’s why I love the Slim Office Workbag. There’s a place for pretty much everything, from your laptop and other tech essentials right down to a trusty pen pocket. Lastly, and perhaps a feature you haven’t considered before, is colour. Understandably many work bags are created in the standard black/brown/blush for maximum versatility. However, as a colour lover I can get bored of this after a while because it doesn’t reflect my personality. I really like that our Office range stays professional while adding a touch of fun with its colourful details like contrasting stitching or a bright interior. These are my must-have qualities for the perfect workbag – what are yours? Let us know in the comments below! 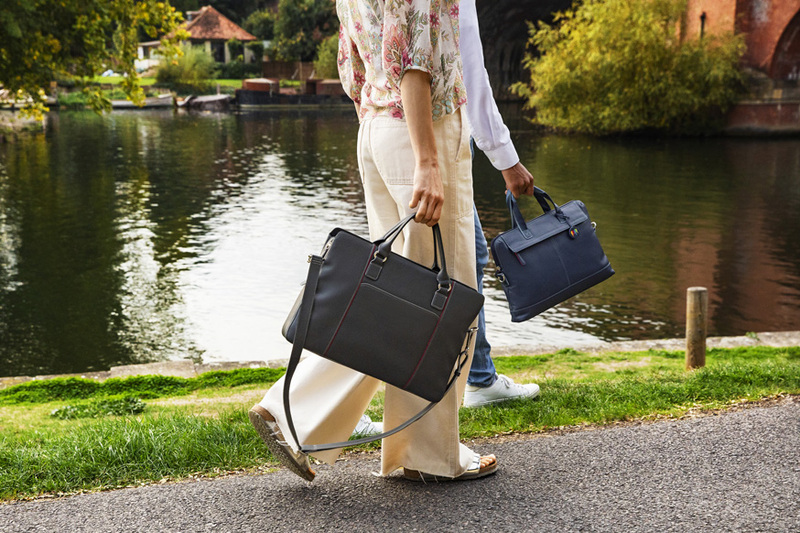 Browse the complete Office Workbag range here.